Do you sometimes pinch yourself to believe we’re living in a city that will soon present the option to take a short trip by air to neighboring cities and the airport? A place to spend time, dine, gather or even live, with autonomous taxi rides and 5G technology througout. Courtesy of Fort Worth company Bell Flight, we got a little taste of ‘Back to the Future’ as we were afforded the opportunity to take a simulated experience of a short Air Taxi ride. Yes, Air Taxi’s will be an accessible mode of transport, taking off from this Frisco-based modern, new age development. 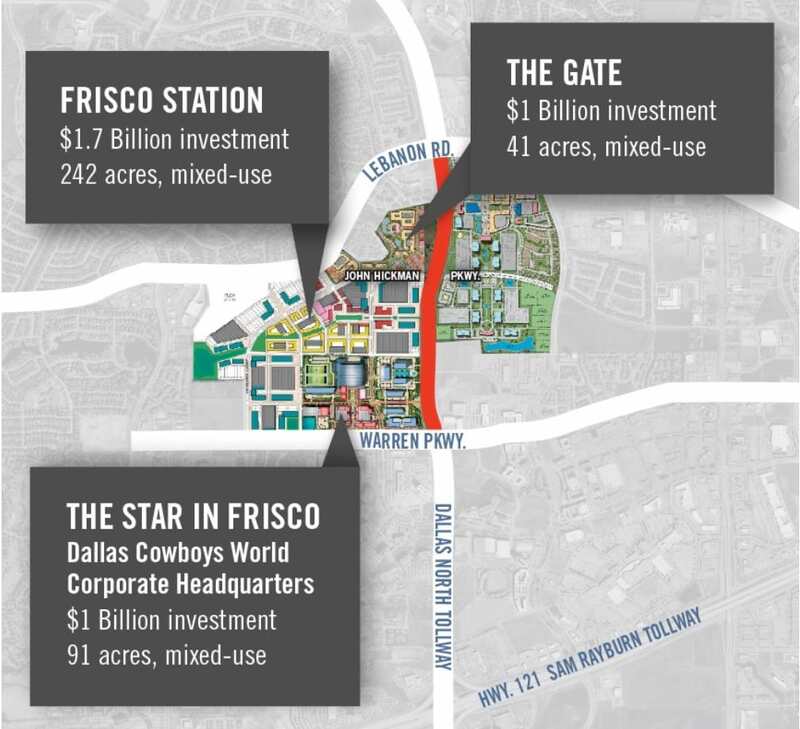 In 2015, we brought you fast facts about the (then) newly approved Frisco Station project. A 242-acre, mixed-use development, featuring modern amenities throughout their planned offices, residential and medical spaces. 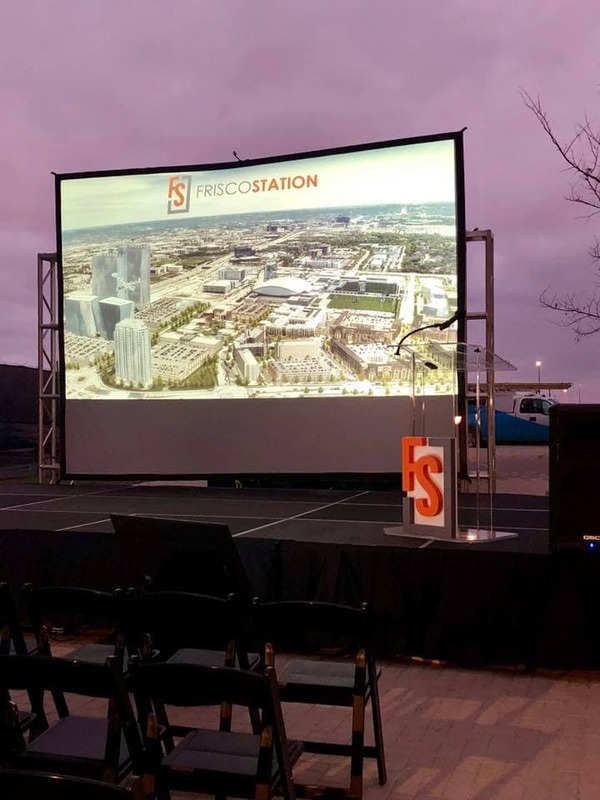 Fast forward to today, three years later – the project is currently in full construction mode right along Frisco’s highly desirable North Platinum Corridor, wrapping itself around the Dallas Cowboys’ World Headquarters, at The Star. Frisco Station features a new approach to urban design, based on the foundational principles of ‘Smart, Creative, and Healthy’ experiences. It boasts being one of the world’s first developments with cutting-edge transportation offerings including Vertiports to utilize Uber Elevate’s unique flying taxi’s, along with access to a network of autonomous vehicles via drive.ai. The land Frisco Station now sits on was once owned by the Rudman Family, acquired in 1962 long before the Dallas North Tollway was ever a plan, and instead was best known for producing some of the finest hay. The project is being developed by the Frisco Station Partnership, which is composed of The Rudman Partnership, Hillwood Properties, and Van Trust Real Estate. Frisco Station launches itself into 21st-century living, priding itself in offering innovative amenities that increase convenience and productivity for both its corporate tenants and private residents. ‘Station House’ is their first multifamily residential unit, fully operational with residents already enjoying a luxurious, comfortable and modern living environment. Along with a robust retail and restaurant district, the much-anticipated entertainment space was launched in style. Located as a centerpiece to the development, known as The Hub. and anchored by The Alamo Drafthouse Cinema. It incorporates generous community spaces, walking trails, modern hotels, water features, and walkable dining and retail. Built on the principle that individuals want to be inspired and energized by the people and environment around them, Frisco Station’s designers are focused on creating a healthier, smarter and more creative experience for people who want to engage, innovate, learn and collaborate in their professional and personal lives. 600 room hotel campus offering four hotel choices to suit varying lifestyle experiences; Residence Inn by Marriott, Canopy by Hilton, Hyatt Place Rooms and Suites, and the AC by Marriott. Station House (now open) the first urban living residential building offering 301 pet-friendly apartment home and townhouses with modern luxury amenities including structured parking, a fitness center, tenant lounge with wine bar and coffee bar, bike repair shop, and dog washing station. Healthy eating dining in the form of farm-to-table dining options and a weekly green market. AT&T 5G evolution wireless technology throughout Frisco Stations parks, residential, hospitality and corporate spaces. One of the nation’s first developments built from the ground up to incorporate such a feature. 5 million square foot of Class A office space and a conference center eventually employing over 15,000 business professionals. In line with the goal of attracting top talent and corporations, in recent weeks two firms Brierly+Partners and Kimley-Horn announced they will now relocate to Frisco Station. This brings the leasing occupancy at ‘the Offices One’ building to almost 100% and is one of five planned buildings for the office district within the development. ‘The Office Two’ broke ground earlier this month. Frisco Station is set to become a place where you can honor the ‘Live, Work, Play’ concept. You can let yourself go and feel the heartbeat of the area, spend some time, gather with friends, and still be within easy access of everything North Texas has to offer via the Dallas North Tollway. The partners of the development truly believe Frisco Station has the potential to change the way employees, visitors, and residents think and interact in their daily lives. The full build-out is expected to take five to eight years to complete, but each of the components is being constructed in parallel, with one office building and the Station House residential building already almost fully occupied. Two hotels are then set to open in Spring 2019 and a groundbreaking of the Alamo Drafthouse soon to follow. Internationally recognized as the industry leader for creating lifetime loyalty for their customers’ brands, this company will occupy a total of 56,703 square feet on the sixth and seventh floors, while enjoying unobstructed views of downtown Dallas, Las Colinas, Lake Lewisville and Denton on the horizon. We looked at and toured many properties around the Plano and Frisco area, but none matched the Frisco Station property. The location is incredible and situates our team at the center of a vibrant and growing area. No stranger to Frisco, Kimley-Horn has been located here since 1994 and is recognized as one of the nation’s leaders in its field. It’s a privately-held, 3,500-person firm with more than 80 offices nationwide providing planning and design consulting services related to transportation, aviation, the environment, development services, transit, urban planning/landscape architecture, and water resources. It has been named 11 times as one of FORTUNE’s 100 Best Companies to Work For and is ranked among the top 20 design firms in the nation by Engineering News-Record. In 2018, it was also named one of FORTUNE’s Best Workplaces in Texas. We are particularly proud of our part in helping VanTrust, Hillwood, the Rudman Partnership, the Frisco EDC and the City of Frisco create a space to be a home to over 150 Kimley-Horn employees. Given our role in both Frisco Station and The Star in Frisco, it’s a bonus that we will be part of the fabric of the environment we helped to create.